This genus is accepted, and its native range is Temp. to Tropical African Mountains. Achenes capitate, with a persistent usually elongated plumose or naked style. Mostly woody climbers or shrubby trailing plants. Leaves opposite, usually pinnately or ternately compound with petiole and rhachis capable of twining. Flowers actinomorphic in many- to few-flowered panicles or solitary. Petals and nectaries absent but staminodes transitional between sepals and stamens sometimes present. Carpels indefinite in number, free, normally 1-ovulate by abortion. Achenes capitate with a persistent, usually elongated, plumose or naked style. Achenes capitate, with a persistent elongated plumose style. Flowers regular, solitary or several at the ends of stems or branches. Sepals 4 (rarely more) more or less imbricate, petaloid. Carpels indefinite in number, with one fertile ovule. Achenes capitate, with a persistent, elongated, plumose style. Perennial herbs with erect stems occasionally somewhat woody towards the base. Leaves opposite, simple or pinnately compound. 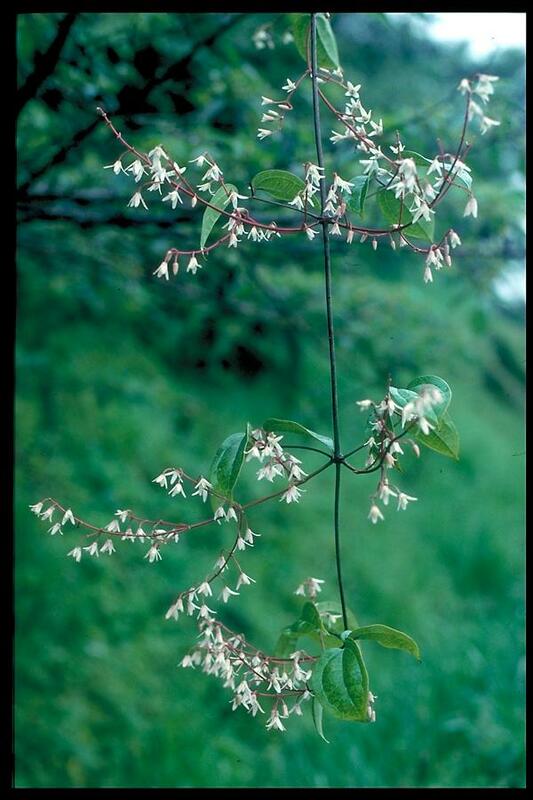 Clematis acapulcensis Hook. & Arn. 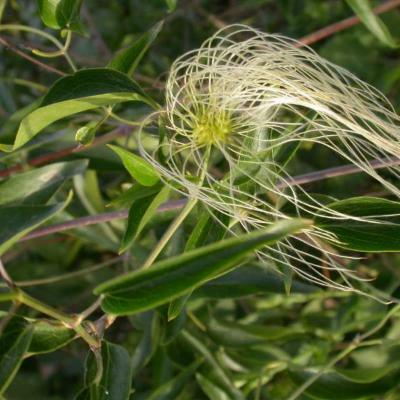 Clematis aristata R.Br. ex Ker Gawl. Clematis bonariensis Juss. ex DC. 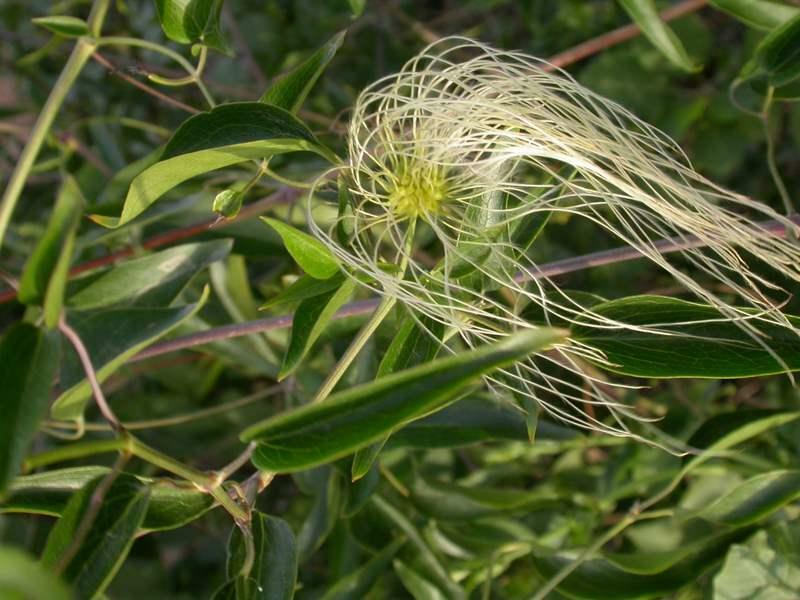 Clematis caleoides Standl. & Steyerm. 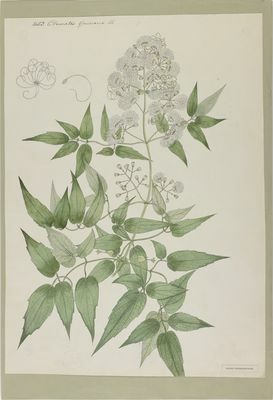 Clematis chrysocarpa Welw. ex Oliv. Clematis elata Bureau & Franch. 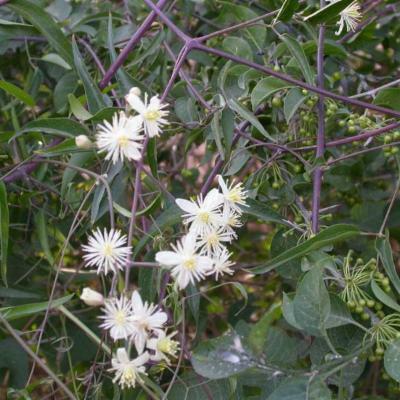 Clematis gouriana Roxb. ex DC. Clematis hastata Finet & Gagnep. 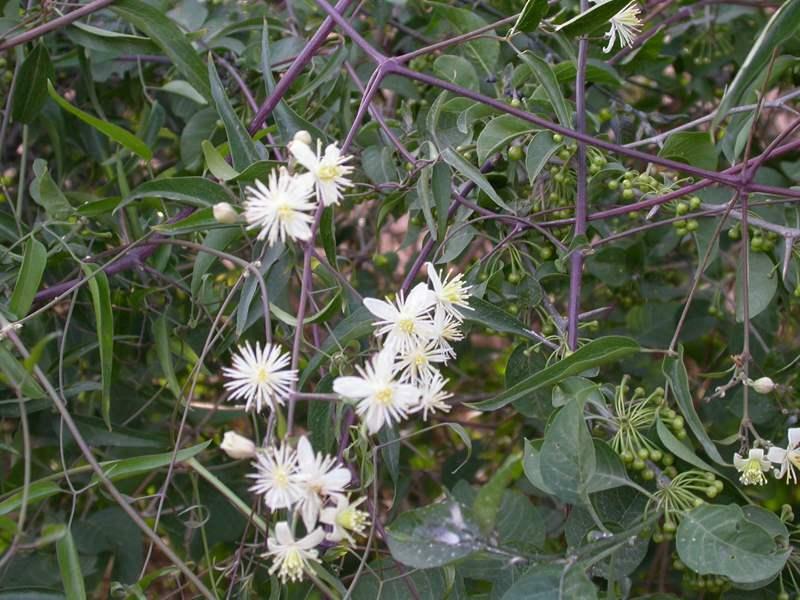 Clematis hayatae Kudô & Masam. Clematis lancifolia Bureau & Franch. Clematis longicauda Steud. ex A.Rich. Clematis otophora Franch. ex Finet & Gagnep. Clematis parviloba Gardner & Champ. Clematis pubescens Hügel ex Endl. 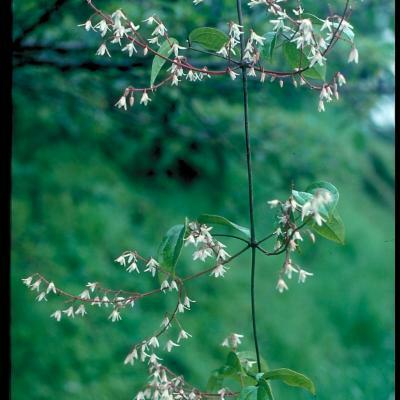 Clematis repens Finet & Gagnep. 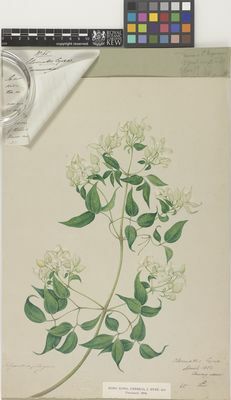 Clematis robertsiana Aitch. & Hemsl. Clematis tortuosa Wall. ex C.E.C.Fisch. Yang, W.J., Li, L.Q. & Xie, L. (2009). A revision of Clematis sect. Atragene (Ranunculaceae) Journal of Systematics and Evolution 47: 552-580. Gen. Pl. ed. 5: 242 (1754).